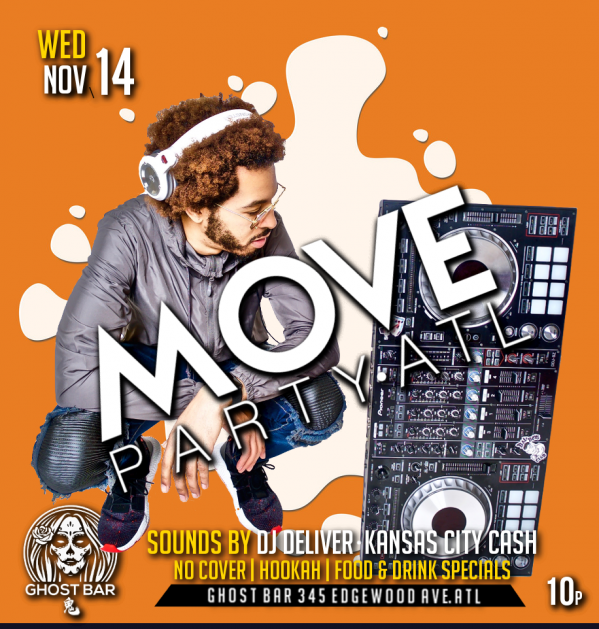 Move party goes down every Wednesday in the heart of the downtown ATL at a new location (Ghost Bar, 345 Edgewood Ave ). Join us for Another edition with sounds by Dj Deliver & Guest DJ Kansas City Cash. i This event is Free all nite with Food and drink specials plus hookah available .